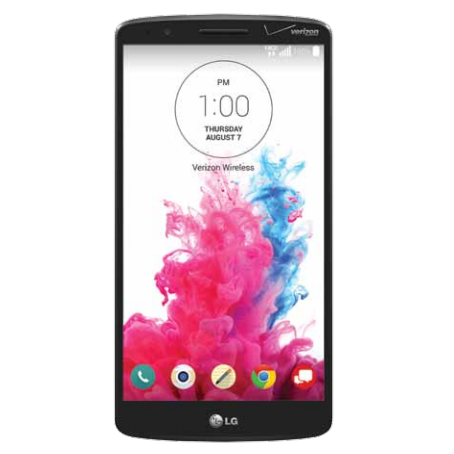 Great news, owners of the LG G3 on Verizon! Well, good news. Maybe provisionally upbeat news? OK, it's an item of information that happened this morning, so I can unequivocally say that this is... news. You're getting an over the air update to your phones starting today. 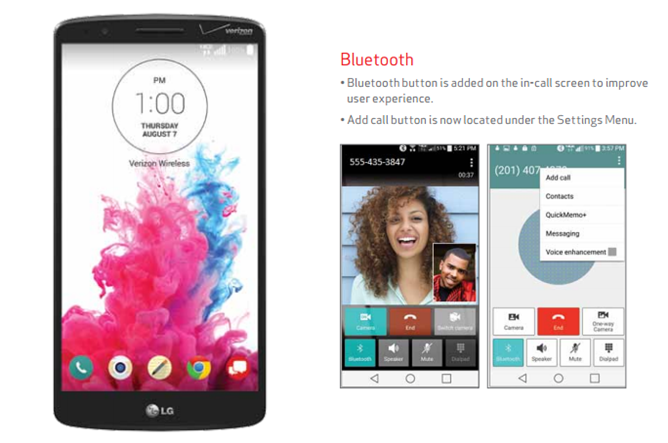 It includes a Bluetooth button, some options for LG's notification system, and some new HD Voice settings in the menu. That's all. I'm sorry. Verizon's update form says that the G3's in-call menu now includes a Bluetooth button switching between the standard handset, speakerphone, and a Bluetooth connection, which it was apparently missing before. Also there's an "add call" button in the dialer's in-call screen. As for the notifications, LG now offers you the option to use either the company's skin style notifications or Android 5.0's somewhat confusing native priority notifications. • Provide Native “Interruptions” feature while maintaining LG UI component & label style. • On-going notification is provided when the device is either set to No interruptions or Priority Only. • Interruptions menu is added under the Quick settings - ‘None’ which will stop your device from sounding and all types of notifications with alarms. - ‘Priority’ which allows you to set what apps, and which calendar events and messages come through. - ‘All’ which allows all notifications to come through. The last update is apparently to enable Verizon's proprietary HD Voice and HD Video system, which presumably did not come with the Android 5.0 update back in April. New options are found in the main Settings menu. If you frequently talk to other Verizon customers with high-end phones, you should hear improved call quality.